With pictures of melting ice shelves and revelations about how much plastic is making it into the marine food chain all over the news, the effects of climate change and pollution are increasingly on everyone’s mind. It can be easy to feel a bit overwhelmed and powerless in the face of such an enormous issue. Fear not! If you’re a conscientious person who wants to do their bit for a healthier planet, read on – these eco-friendly cleaning products will allow you to work towards a greener future without compromising on the hygiene of your home. Green Works is a wonderful brand of eco-friendly cleaning products, all at least 95% derived entirely from natural materials. Their range includes dishwashing liquid, all-purpose cleaning spray and liquid, compostable cleaning wipes, toilet cleaner (particularly good if you are worried about your pet drinking from the toilet bowl when you are out! ), glass and shiny surface cleaner, bathroom cleaner and dishwasher tablets. All Green Works products are biodegradable, so can be poured down your sink or flushed down your toilet freely without worrying about contaminating the water table, and do not contain ammonia, bleach, phosphates, dioxins, or any other potentially carcinogenic compounds. Using these products in your home means you also avoid the respiratory effects and residues of harsh chemical cleaners, which recent studies have shown to have a similar effect to cigarettes, while using them on your dishes or surfaces you eat or prepare food on, such as your tables and kitchen worktops, means you don’t need to worry about the same chemical residues contaminating your food. EcoMist Solutions produces industrial-strength spray cleansers from grain, coconuts, potatoes and corn which emulsify and suspend oily and greasy stains on surfaces when they are sprayed into them, causing them to break down and dissolve. Once they are broken down, the chemical substances in the stains combine into harmless solutions with the ingredients in the spray so they cannot redeposit on textiles or surfaces within your home, but instead dissipate away into the air. They are particularly effective in kitchens, where greasy stains from cooking oil tend to end up on every surface, even those out of easy reach. As these are spray cleaners which deal with grease without the need for vigorous scrubbing, EcoMist products can be particularly good for older, sick or disabled people who may find other products difficult to use. Seventh Generation’s Toilet Bowl Cleaner’s plant-based cleanser is ideal for tackling even the nastiest stains you are likely to find inside your toilet bowl, while its fresh botanical scent will lift the atmosphere in your smallest room without cloying chemical scents that can trigger allergies or worsen respiratory conditions. It’s also safe for your septic tank. Staying in the bathroom, the Eco-Max Bathroom Cleaner also freshens the air with its robust natural spearmint scent while effectively tackling tough stains and grime in sinks, baths and showers, and on bathroom counters. For your living room and bedrooms, Attitude’s Floor Surfaces, Tile and Wood Cleaner is what you are looking for. Unlike so many floor and tile cleaners, which are not safe for painted or polished wooden surfaces, this can safely be used even on your beautiful hardwood floors without leaving unsightly marks or stains behind. It has a subtle citrus scent derived from essential oils – freshening, fragrant and clean without drawing attention to itself. Speaking of citrus scents, there are the old standbys of vinegar, lemon and baking soda. Any or all three of these combinations can be used to clean most surfaces in homes including counter-tops, inside ovens, inside microwaves and fridges, and pretty much most of your home. 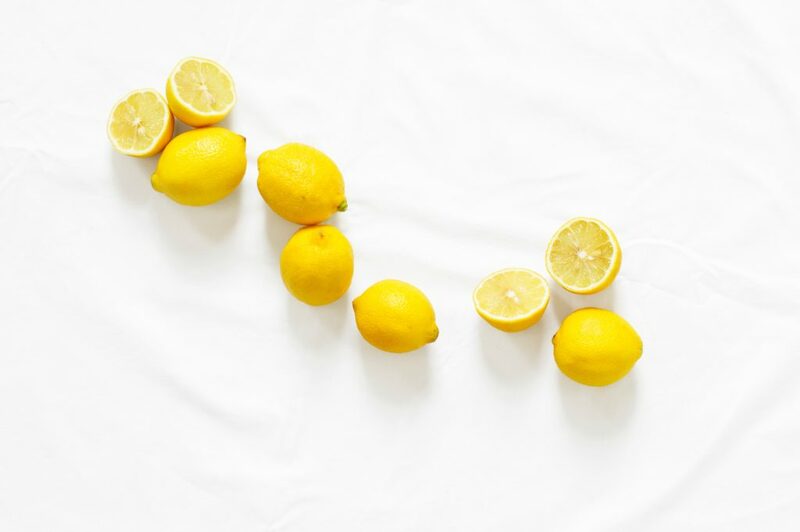 It’s cost-effective, proven to be safe and the lemon (or any essential oil) can mask the scent of vinegar. When booking a clean with Maidstr, or with any other cleaning service, make sure to specify if you wish the cleaners to use green products. We accommodate requests for both green and traditional cleaning service. If you have any further questions regarding cleaning materials and solutions don’t hesitate to contact us at support@maidstr.com.